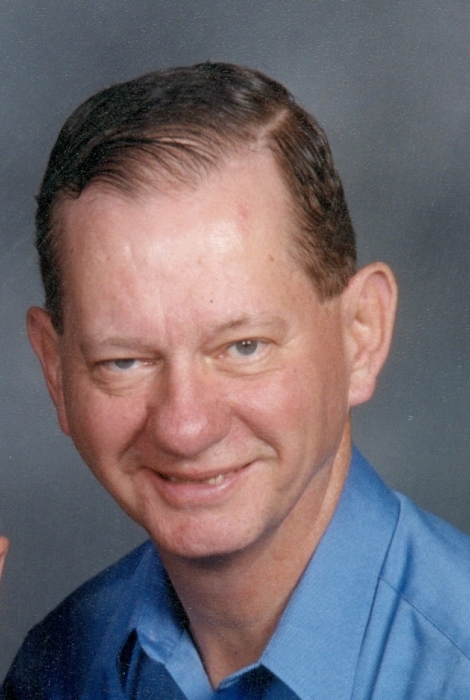 Lowell Poland, 79, of Upper Arlington, passed away September 16, 2018 at Kobacker House. He was a graduate of Hopewell High School and Columbus State College. Member of First Community Church (40 years), Jackson Lodge #85 F.&.A.M. (55 years) and Aladdin Shrine. In his early years he was an avid bowler and a life-long golfer. He enjoyed serving as a gallery guard at the Masters Golf Tournament for 25 years with 2018 being his 25th year. Preceded in death by his parents William and Minette (Cohagan) Poland, niece Julie Poland and brother-in-law Walter Menendian. Survived by wife of 46 years, Martha; brothers Gale (Joan) and Richard (Cheryl) Poland; brother-in-law Philip (Cathy) Menendian; sister-in-law Charlaine Menendian; nephews Thomas Poland and Stephen Menendian; nieces Linda Morozzi, Kristie Howard, Kim Strouse, Amy Ramey and Melinda Wagner; several great nieces and nephews. Friends may call at the John Quint Treboni Funeral Home, 1177 W. Fifth Ave., Sunday 1-4 PM where the service will be Monday 1 PM, Rev. James Long officiating. Masonic service Sunday 3:45 PM. Interment Green Lawn Cemetery. In lieu of flowers, contributions may be made to Cat Welfare of Columbus or a charity of your choice. Online condolences may be made at www.deyodavis.com.